Use our state-of-the-art optimisation features which can help you invest your budget in the best performing ads and audiences. Set your own rules to rotate ads on a daily basis and minimise ad-fatigue. 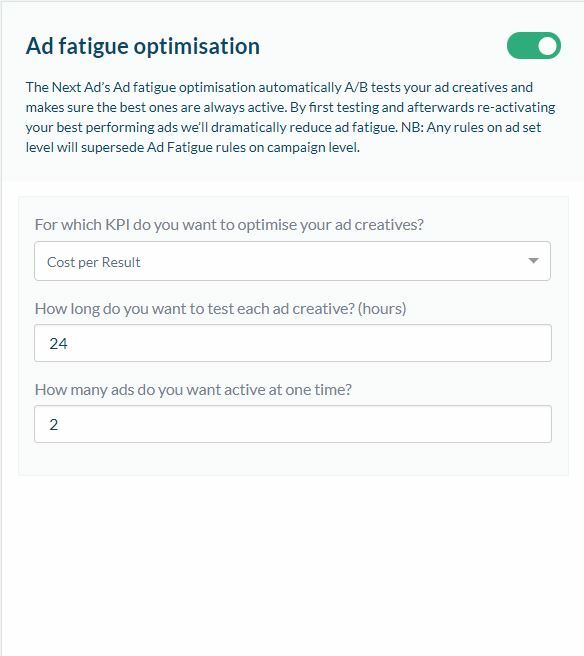 We'll automatically switch off poor performing ad creatives to pick out the best performing ones out of the A/B test when you activate Hyper Optimisation. Just like you never stop innovating, The Next Ad’s Automatic Optimisation never stops optimising. Even after the first optimisation has been made, the optimisation engine keeps checking if the best performing ads are still the best performing ones, or whether shifting to another better performer is necessary in order to improve your campaign’s performance. Check out the button below and find out how we helped Loavies make history! Do you spend too much time checking your campaigns over and over again with the view of improving their performances? Well, it’s almost impossible to beat a machine, considering the exact numbers influencing the campaigns’ performance. Our smart investment algorithm, Hyper Optimisation, shifts budget between ad sets and rotates ad variations automatically to find the best performing one, based on real performances. 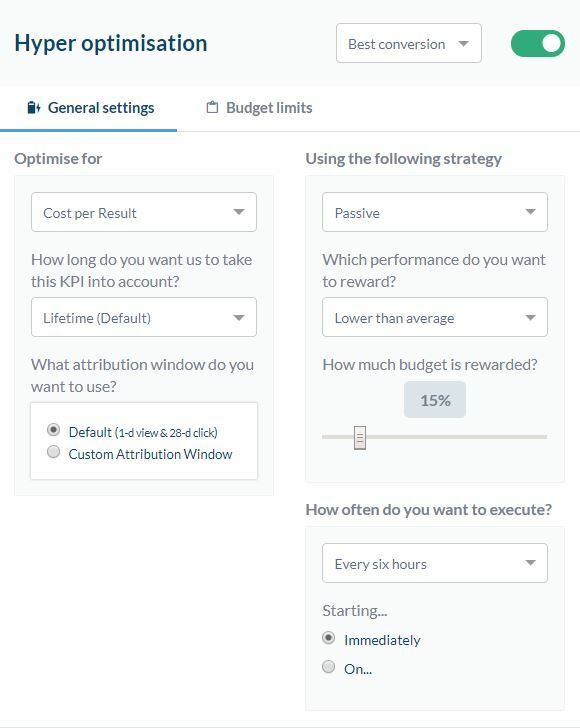 Optimise campaigns based on the best performance or based on a fixed CPA limit (KPI) in case you have a maximum CPA you can afford yourself. Grenzelooswerk loved using The Next Ad's Hyper Optimisation. Read on by clicking the button below! Sometimes you just can't find the right or appropriate metric from the list of options Facebook has to offer. That's why The Next Ad offers the option to use custom metrics by integrating existing metrics into a new one. New metrics can be created upon request in order to ensure that the overview of metrics remains clear.